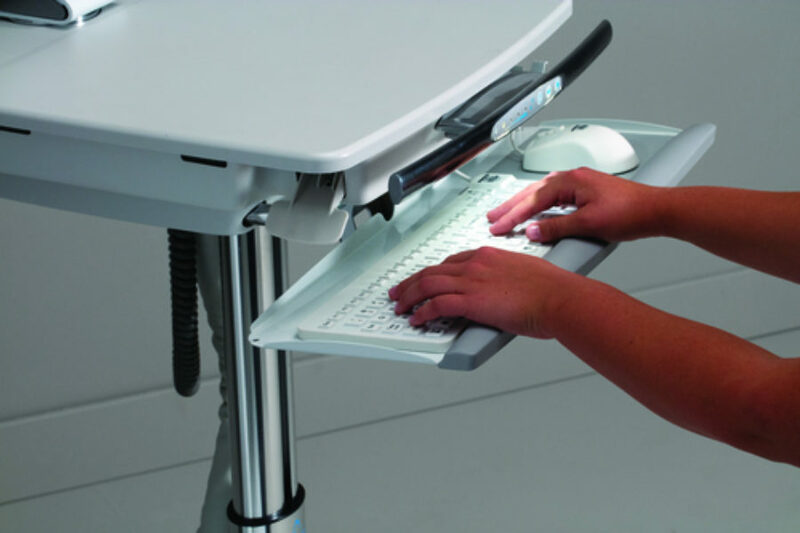 Ergonomic workstations are an important part of creating a safe, healthy work environment. Making your workflow safer and more productive. 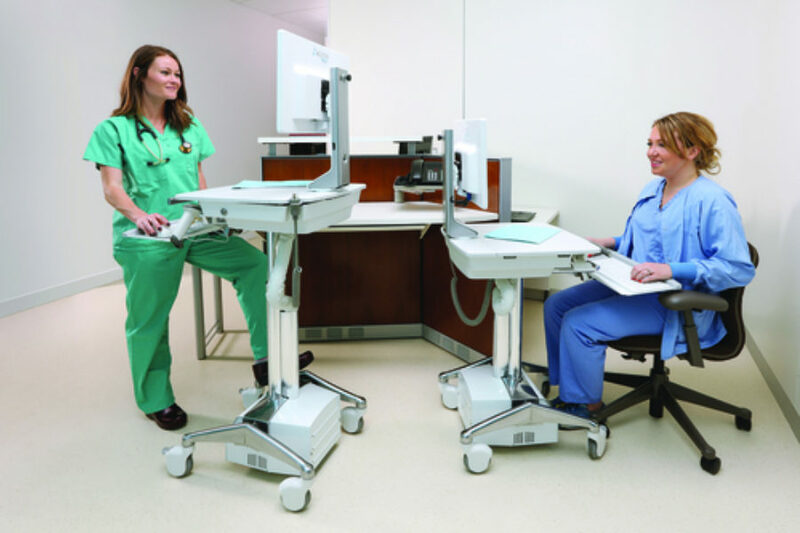 Benefiting users with its ergonomic features, Altus’ products are designed to fit each clinician. 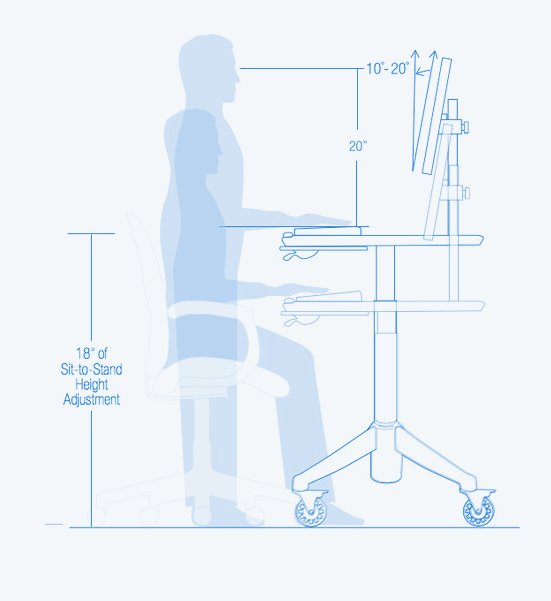 Ergonomics is a science that focuses on fitting a workstation to each individual person. Which in turn decreases fatigue and discomfort by providing solutions that adapt to the needs of a diverse workforce. Proper positioning goes a long way. Studies show that changing your posture and/or your position regularly (sitting to standing and visa versa), can help reduce fatigue and improve productivity. That’s why our products help align you within your own personal ergonomic zone and help you with varying your position throughout your day. 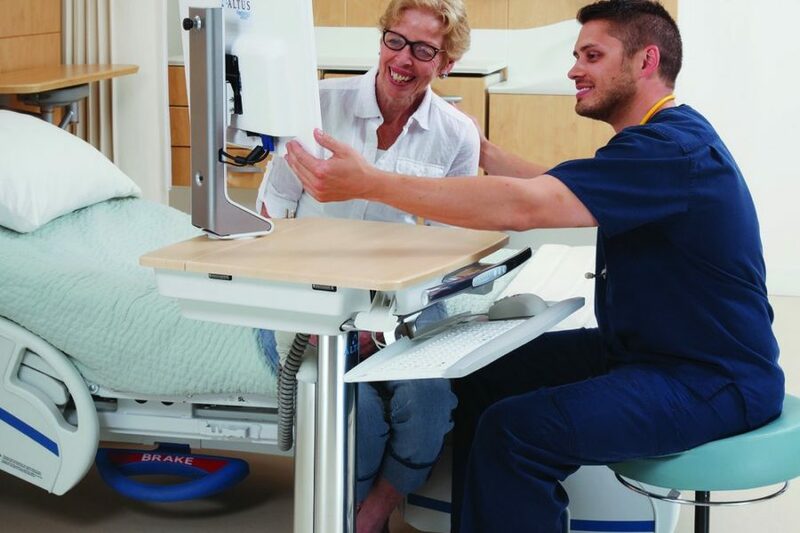 We have adjustments to our monitor height and tilt, our keyboard position, and our Ascend and Ascend EL height adjustment lift allow each caregiver to be seated or standing with one single motion. All of these adjustments give the user more time to focus on the task at hand and find their personal comfort zone faster. Our carts offer adjustments to the monitor height and tilt, keyboard position, and height of the cart. Our Ascend and Ascend EL height adjustment lift allow each caregiver to be seated or standing with one single motion.